Two-day B2B games industry conference dedicates an entire track to blockchain games; save up to $250 with Early Bird prices today! 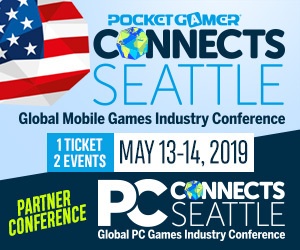 The international series of B2B events for the global mobile games industry, Pocket Gamer Connects, returns to the USA on May 13th and 14th for its first edition in Seattle. There’s an entire track dedicated blockchain games that will look at everything from how to make great games that utilize this technology to how it can become the next big thing. Alexander Casassovici from Azarus will demonstrate how developers can augment their game with blockchain without sacrificing the user experience. His session will suggest ways your game could appeal to the hundreds of millions of players out there that just want to have fun and couldn’t care less about gas and private keys. Casassovici will share the latest tips and tricks that will allow you to capitalize on the blockchain’s benefits with no friction. Dragon Foundry’s Paul Barclay will chair a panel discussion – featuring Donnie Dinch of Bitski – addressing the steps the industry needs for blockchain to have the same impact on gaming as the mobile industry. And we’re looking forward to hearing from John Linden of Mythical Games about the challenges and opportunities in developing their game, Blankos. We’ll share more details about the Blockchain Gaming speaker line-up in the coming weeks. Alongside our impressive blockchain speakers, you’ll also hear from the likes of EA’s Katherine de León, Josh Nilson from East Side Games and Robert Garfinkle of Nexon M as part of the roster of 125 world-class experts. And making its Stateside debut, partner event PC Connects joins in the fun in Seattle, featuring a further four seminar tracks covering development, user acquisition and why 2019 will be the year the PC games industry changes forever. You’ll get to hear from industry legends such as Ed Fries from 1Up Ventures, who will be joined for a fireside chat with Gas Powered Games’ Chris Taylor. And anyone looking for a glimpse of the future won’t want to miss Eric Goldberg from Crossover Technologies as he counts down the three major disruptions that will impact the games industry in 2019 and 2020. Your ticket will get you into both events. Pocket Gamer Connects Seattle is about more than the 13 conference tracks and 125 speakers across two shows. There will be 1,000 delegates from 500 companies as well as the vibrant expo space and Big Indie Zone, Big Indie Pitches for mobile and PC, Investor Connector and fringe activities such as the notorious Global Connects Party for after-hours networking. Save $250 – book now! Early Bird prices are still available, meaning you could save up to $250 – book now! 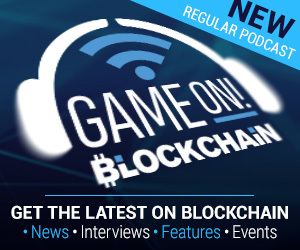 Blockchain Gamer Connects London Mid-Term ticket prices end today!